This June, we’ve had recurring mid-day thunderstorms, warm nights, and above average temperatures of 34 degrees Celcius. What to do on hotter summer days? Get wet, of course! 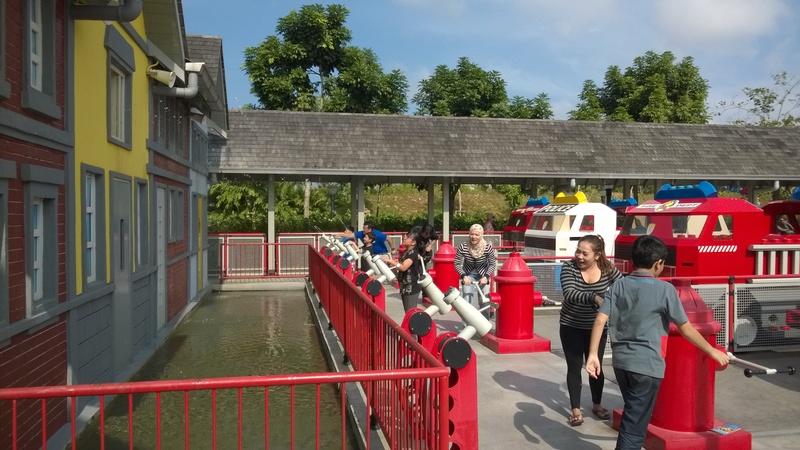 1) LEGOLAND Water Park: What a difference a year makes. 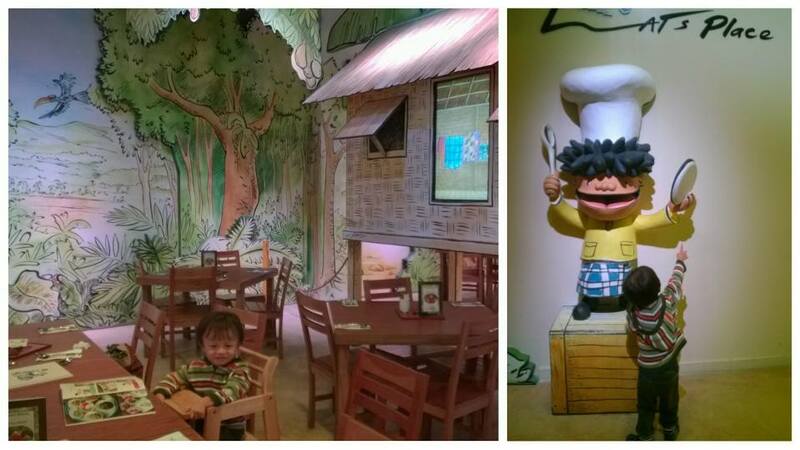 Last time we went there, the experience was exhausting and hot as 2+ year old B was overstimulated. 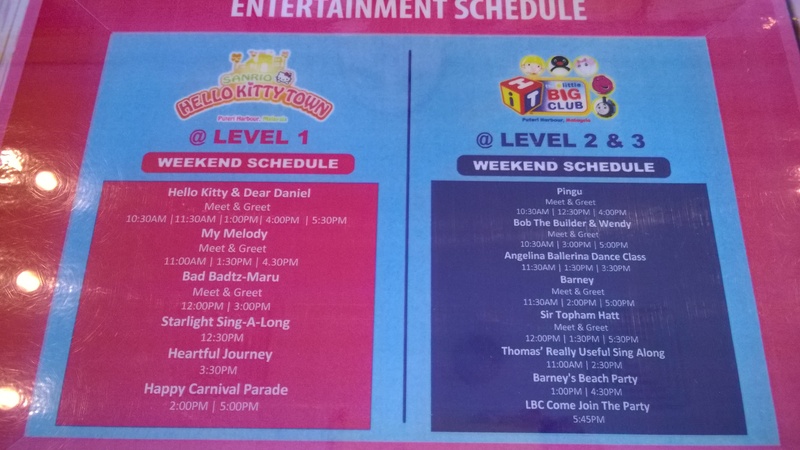 This time around, both LEGOLAND and B have matured. 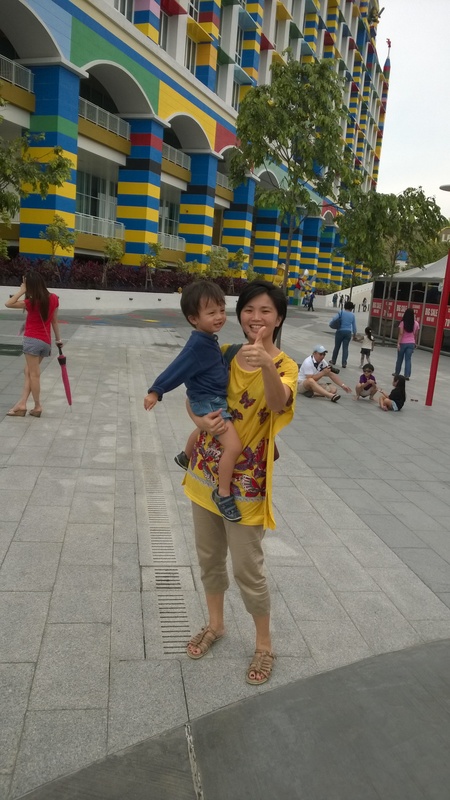 Notably, there’s improved logistics and ventilation, with more accessible rides and activities for B who’s over 100cm tall (we got in though he’s not yet 4 🙂 Best of all, we had a splashing time at the new world’s largest LEGOLAND Water Park. Seeing B’s wet, tired and happy face was worth it. We’ll be back! – The combo park ticket is the best deal: Buy online if you can. 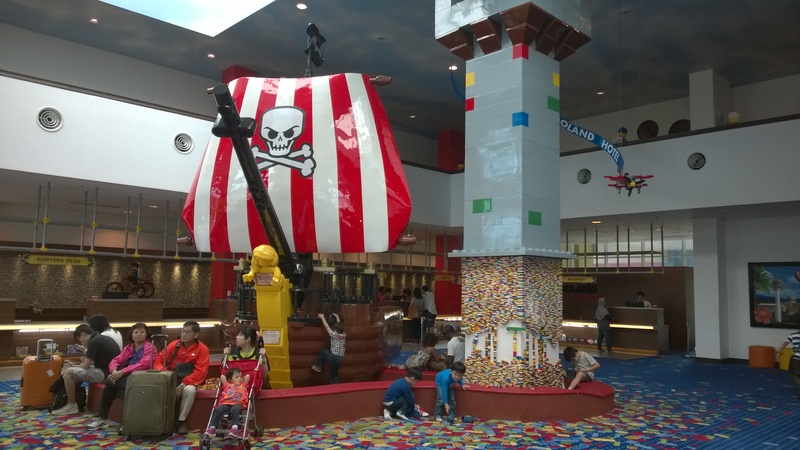 For toddlers (under 3 years), entry to all LEGOLAND Theme Parks are free but you’ll need to pay RM10 for the Water Park for admission and two swim diapers. For the price of chicken rice? Go for it. 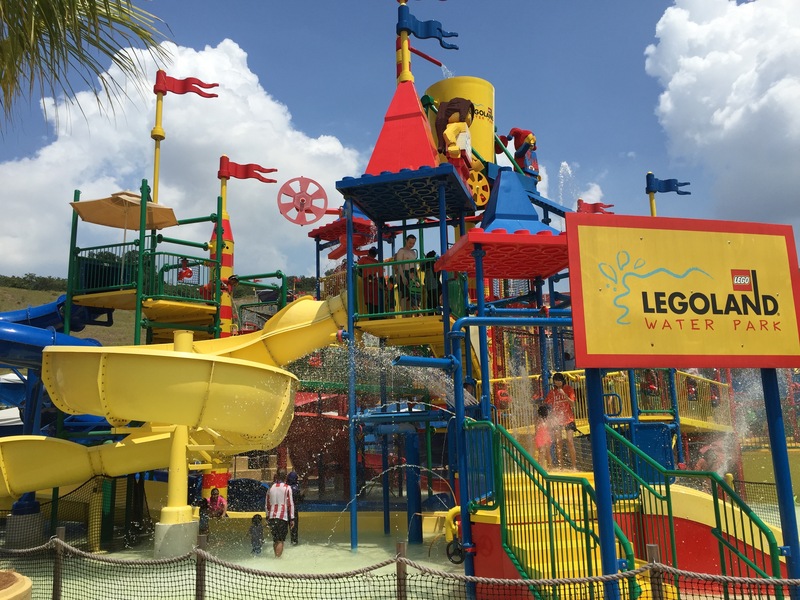 – Height restrictions apply: Kids under 6, supervised by an adult (or >12 years), can enjoy the LEGO Wave Pool (fun! 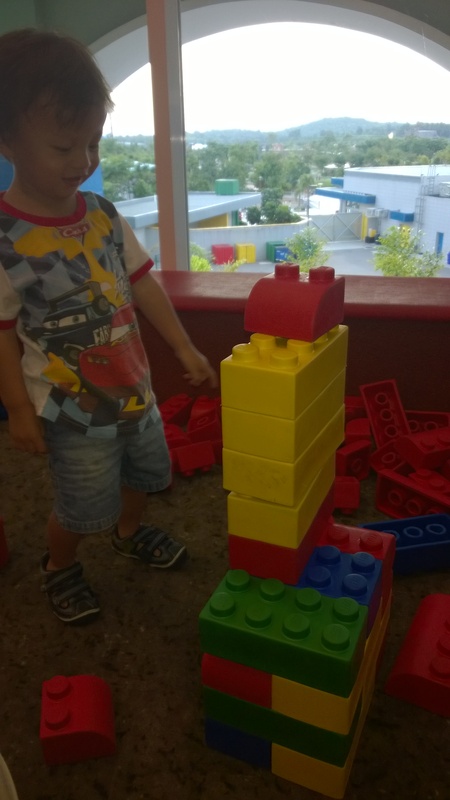 ), Build-a-Raft River and DUPLO Splash Safari. For Joker Soaker (similar to Port of Lost Wonder), Twin Chaser, Red Rush and Splash Out, riders must be at least 1.02m. 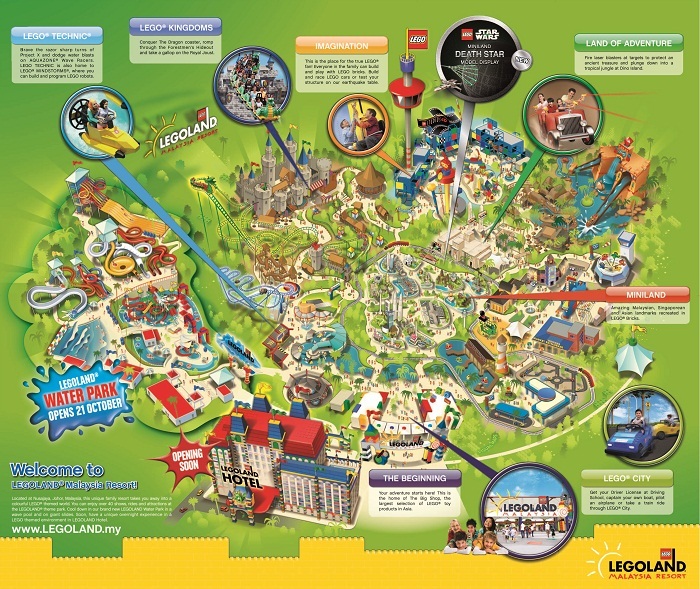 Riders must be at least 1.07m to ride Slide Racer, Wave Rider, Tidal Tube, Brick Blaster and Splash N Swirl. – Don’t worry about your stuff: There are conveniently priced all-day lockers (half and full size) right past the entrance to the Water Park. Strollers can be kept on top of the lockers. Shoes can be easily slipped on, off, safely stored at every ride point, although most prefer to just walk around barefoot. Larger cabanas by the Wave Pool and Beach Grill are also available for rent but IMO, unnecessary if you’ll be moving around from place to place. 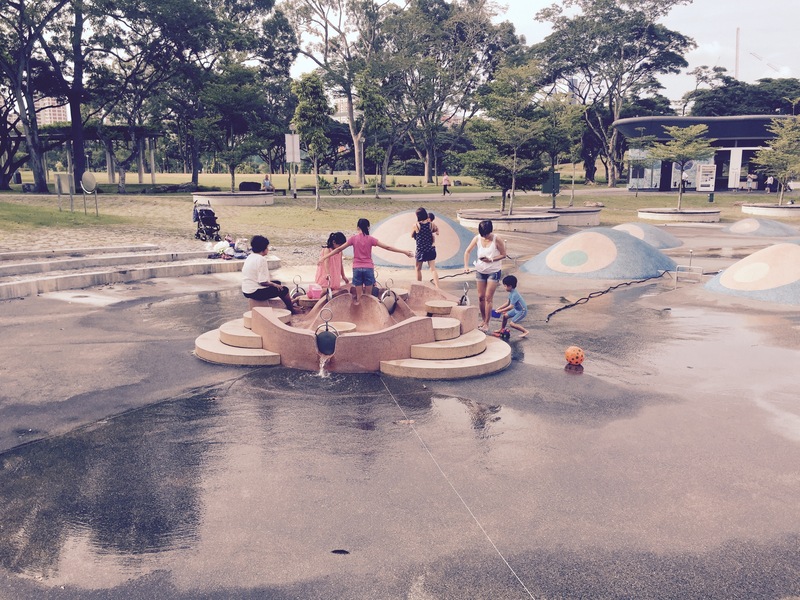 2) Bishan-Ang Mo Kio Park Water Playground: Funnily enough, we frequent Bishan Park often but never tried the Water Playground (when it actually had water running). So on one of my childcare leave days, I arranged to visit the park early morning with some friends. Overall, it was a chill time with opportunities for kids of all ages to stay active, get wet and learn about nature and science. 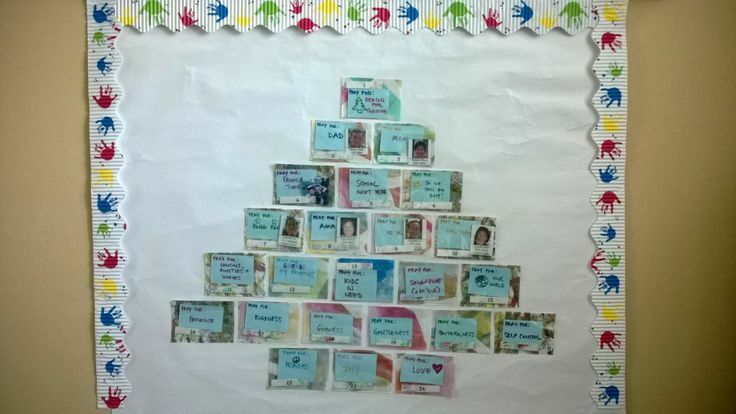 Our kids ranged from 10 months to 10 years, and there was something for everyone there. – When and how to get there: Water turns on between 8-11a and 4-8p daily, except for Monday-Wednesday when it’s closed. There’s a well maintained changing and restroom nearby. 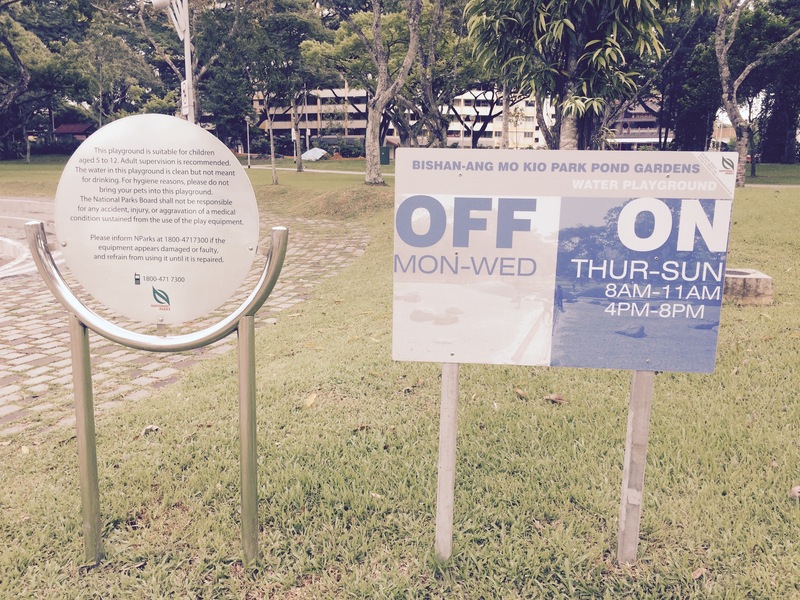 The carpark (off Ang Mo Kio Ave 6) is right next to the park or you can take bus services (50,53, 55,58) from Ang Mo Kio Bus Interchange or Bishan MRT Station. The Water Playground is situated within the larger Pond Gardens. While the kids gravitated to the central water source structure in the beginning, they eventually dispersed as they began to explore. 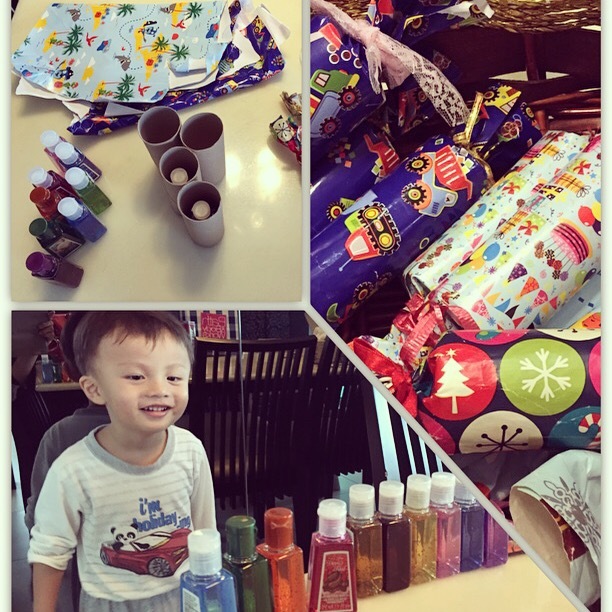 The bubbles, balls, buckets, squirt toys we brought along became a great way for the kids to share and make friends too. 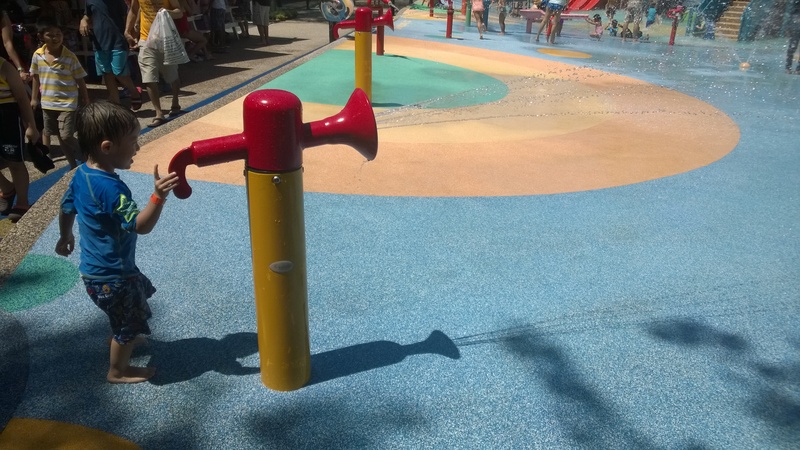 – Understated, simple yet smart design: I did miss the fountains and modern jet sprays as the initial water flow and level were quite low since the park had just opened. Once enough water accumulated though, the kids started to play and experiment with water as they got each other wet. 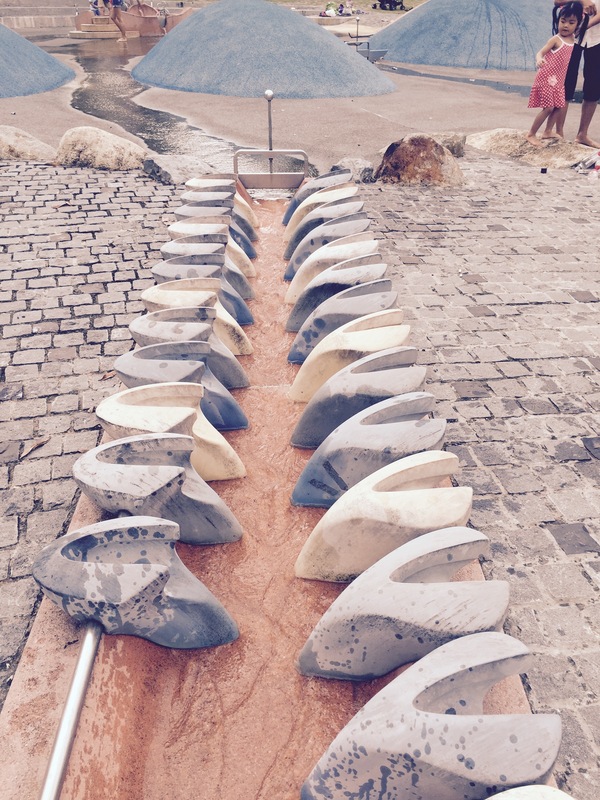 The young kids mainly splashed and poured on multiple surfaces, while the older kids manipulated the sluice gates separating the canals that led to the main drain. (I think) The ropes lying around were there to change the direction of water, which would be a nice yet subtle touch. 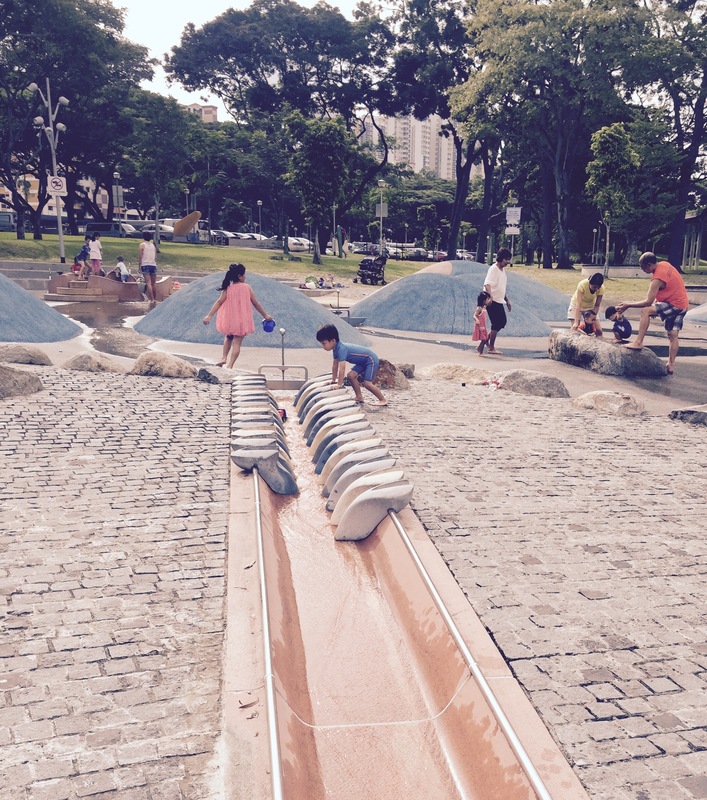 The AMK-Bishan Park Water Playground is as different from LEGOLAND Water Park as it gets! 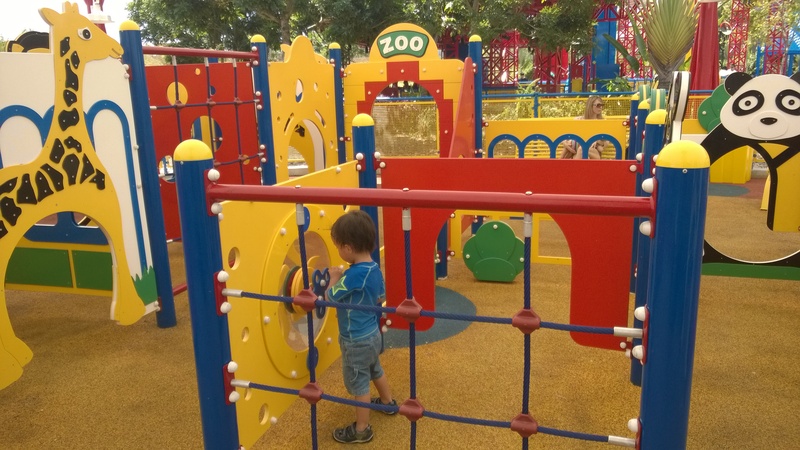 For me, I found it a great place to unwind in a beautiful environment that has surprising ways for kids to discover and learn about science and nature, while cooling down on a hot day. 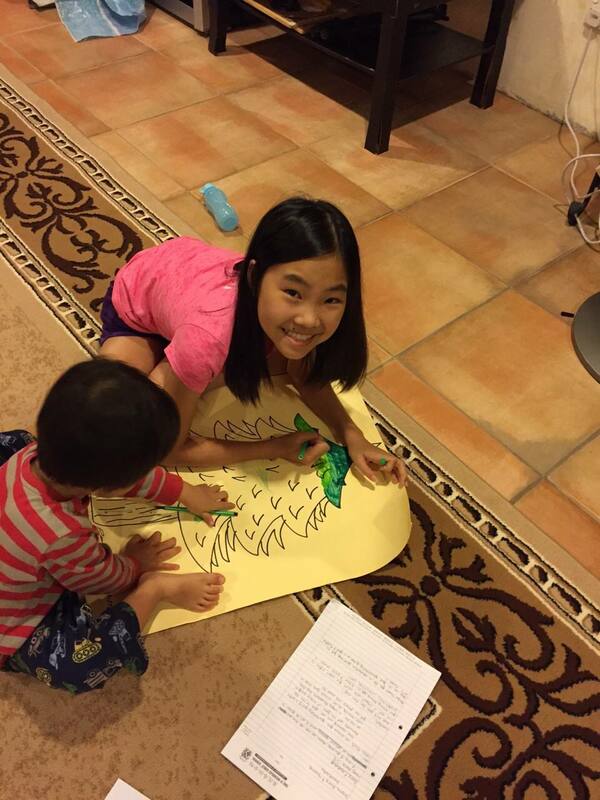 This past advent celebration and annual family holiday was especially fun and meaningful. B retains and expresses so much more now PLUS the grandparents joined us throughout, resulting in lots of inter-generational fun, bonding (and free babysitting!). 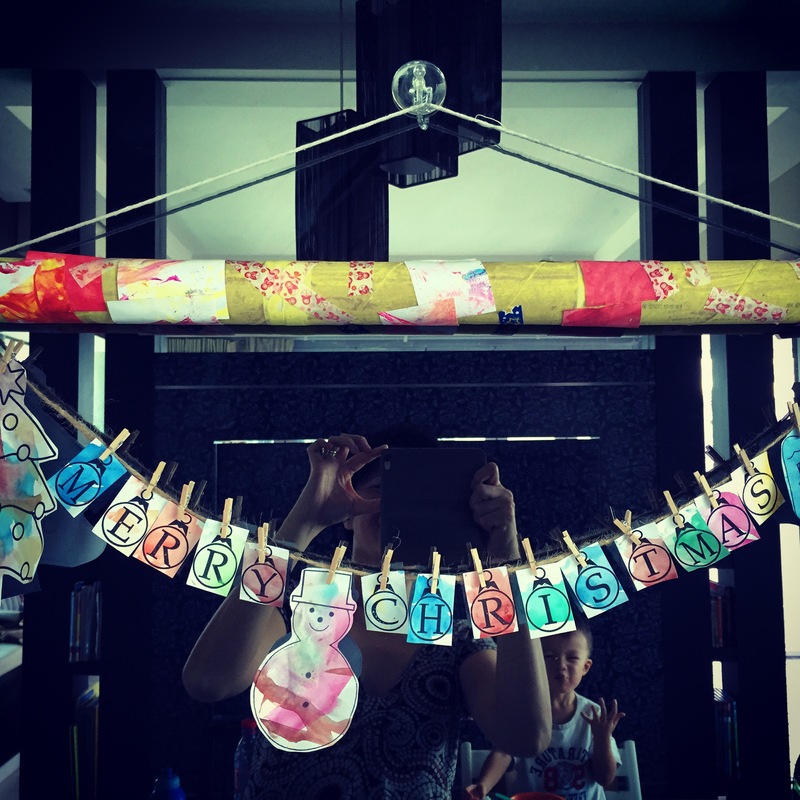 Tape a bunch of toilet paper rolls together, print out letters ands shapes. 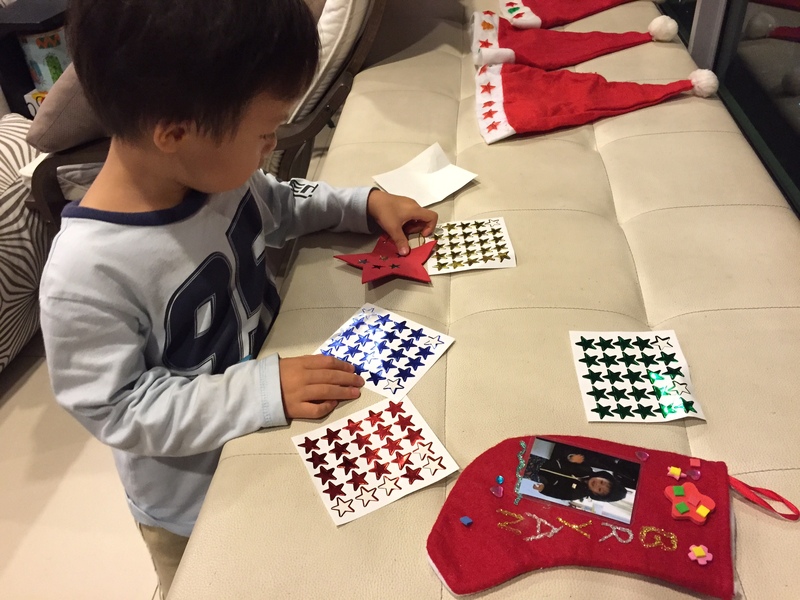 Paint, decorate, tie a string and peg away! As a full time working mom again, I find that I have more focus as my daytime schedule, work and family priorities are very straightforward (sick days and school closure days aside). I also relish the me-time, especially when I’m travelling and am grateful that all the transition and support planning has worked out. When I was away for 10 days on an overseas trip, I was completely reassured that B is in good hands even though we both missed each other. What can’t ever be replaced though is TIME together. 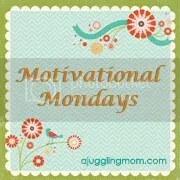 Our weekday mornings and evenings now just feel so rushed! 1) Devotional: Reading the bible is now a regular bedtime routine. 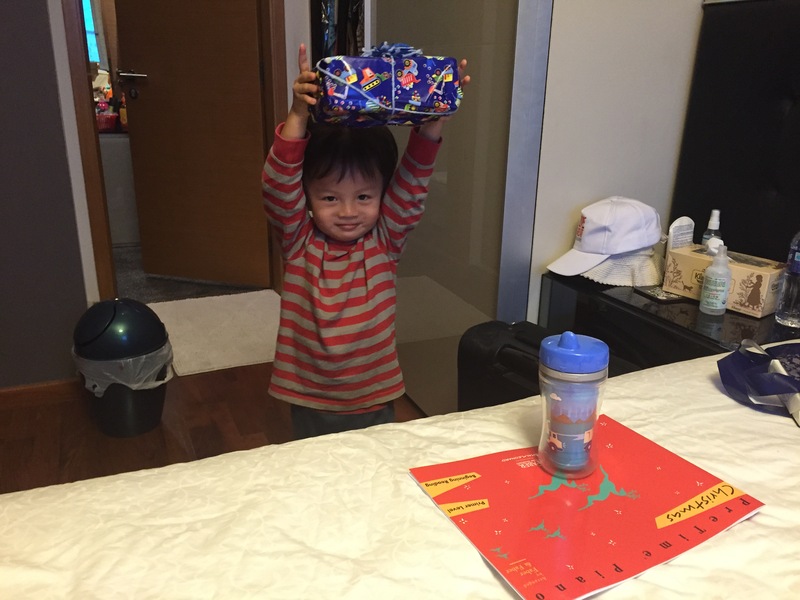 B actually takes his beginners bible out and asks (insists!) on a story or two every night. 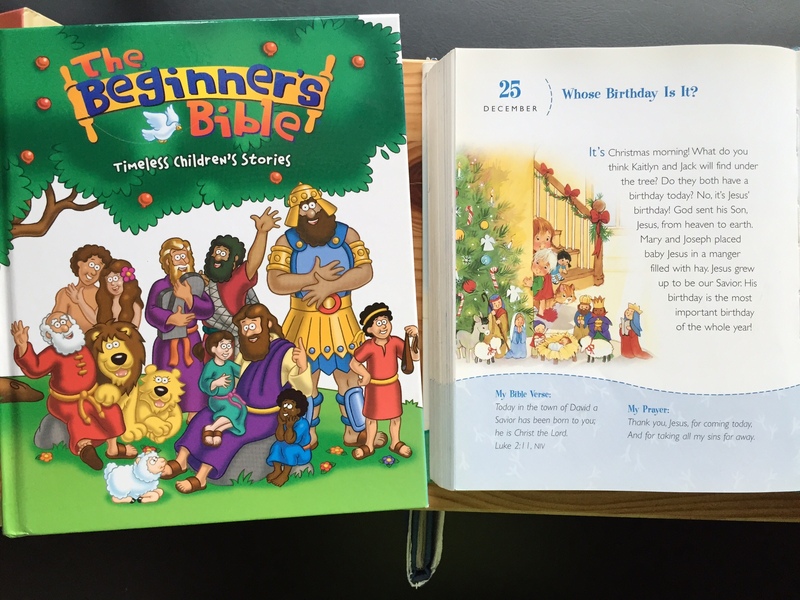 As we’ve read through the Old Testament and most of the New Testament stories, this December, we’ll move to the One Year Devotions for Preschoolers book that we got from a friend. HOWEVER, I’d love to make a new advent calendar which could double as a festive decoration too. 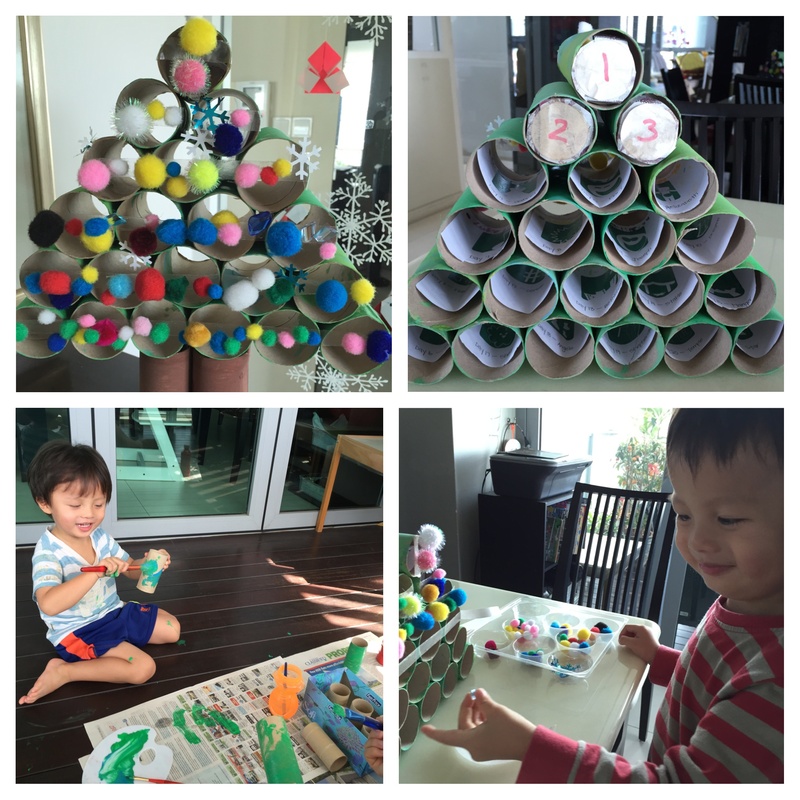 Here are two DIY ideas that I like and find age-appropriate for toddlers: Toilet Paper Roll House and Scrapbook Gift Wrap Paper calendars. 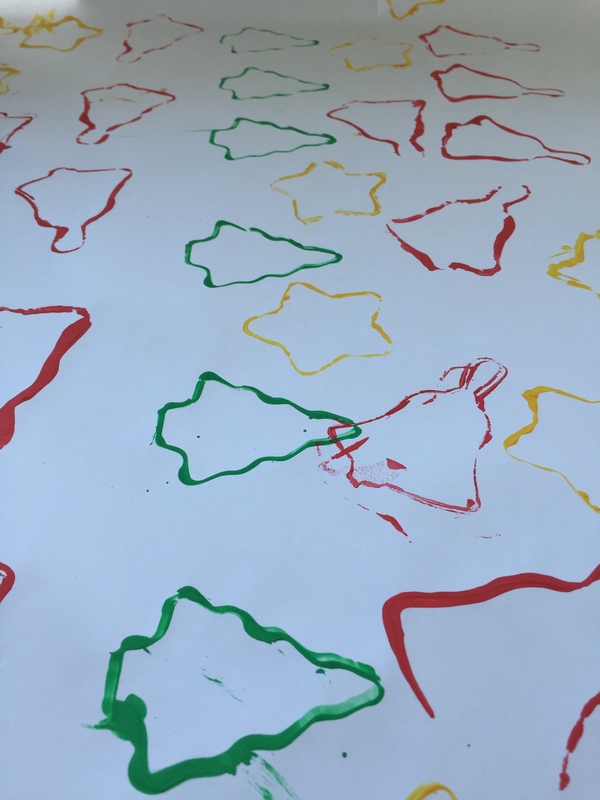 These could contain simple clues (for Truth In The Tinsel), scripture verses (from daily devotion), or just a list of fun yet meaningful activities or items each day. 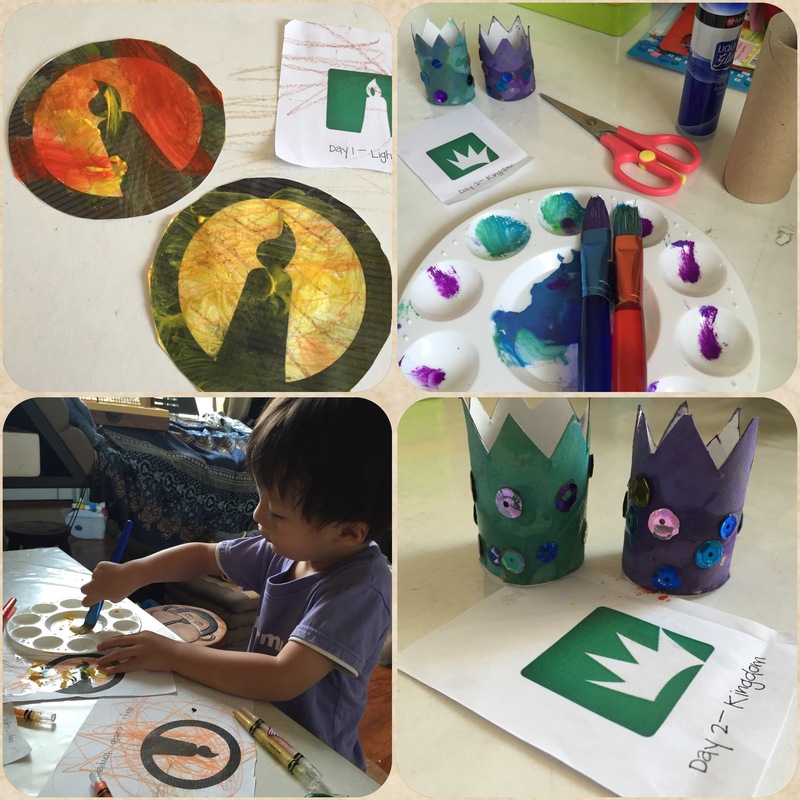 Even if you don’t celebrate Advent but are keen to get some crafty time with the kid during the holidays, feel free to try these out, visit my pinterest board for more ideas, and of course share what you’re doing with us too. Happy Advent-uring! 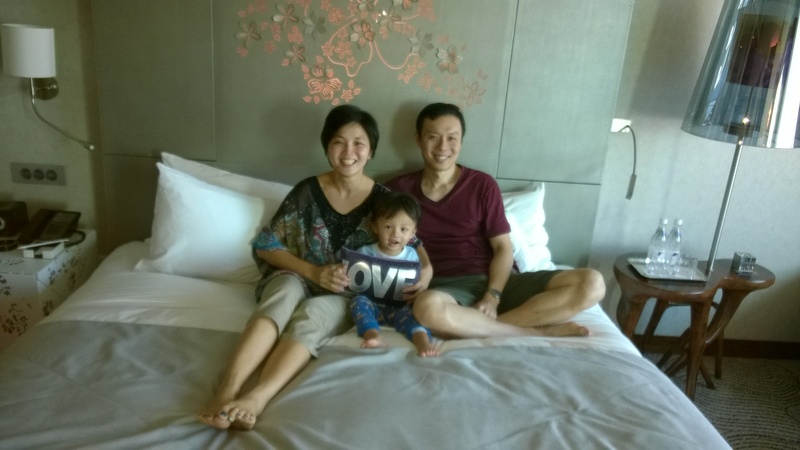 A few weeks back, we redeemed a complimentary 2 night stay at the W Sentosa to coincide with our 9th wedding anniversary. 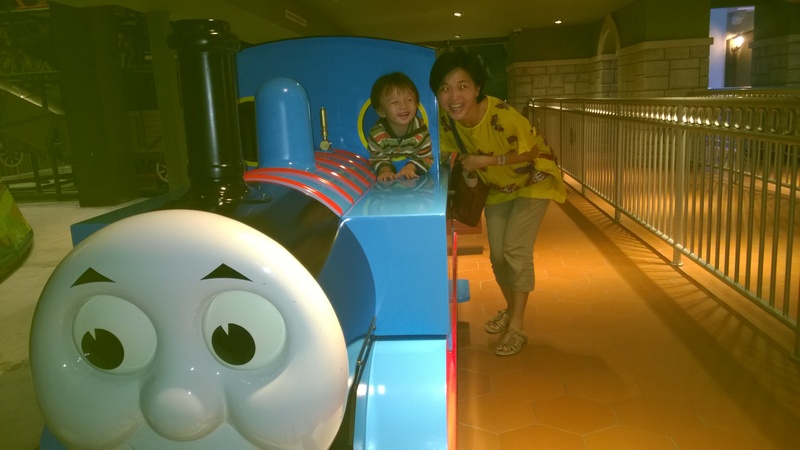 This was B’s first staycation and he still asks to “go to Sentosa” and even “stay at the W again!” Don’t worry B, we will return soon but maybe not at the W though the hotel food, pools, design and decor were amazing. 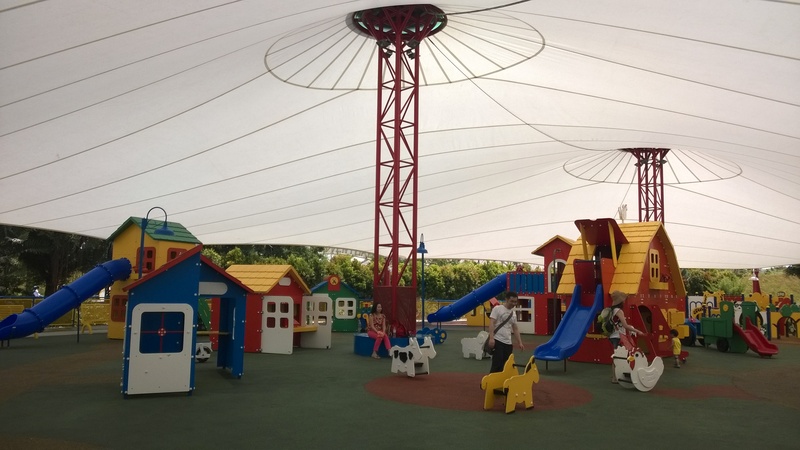 IMO, there wasn’t anything special for children (even though B was fine without at his age) and it’s located a bit far out if you don’t have a car – see the latest Sentosa island map here. Skyline Luge Sentosa: Newly revamped in early May, with a few more exciting rides planned, this is a must-do for families. Get there by 10a to avoid the lines and heat. Various fares are available depending on how many people, the number and type of rides. 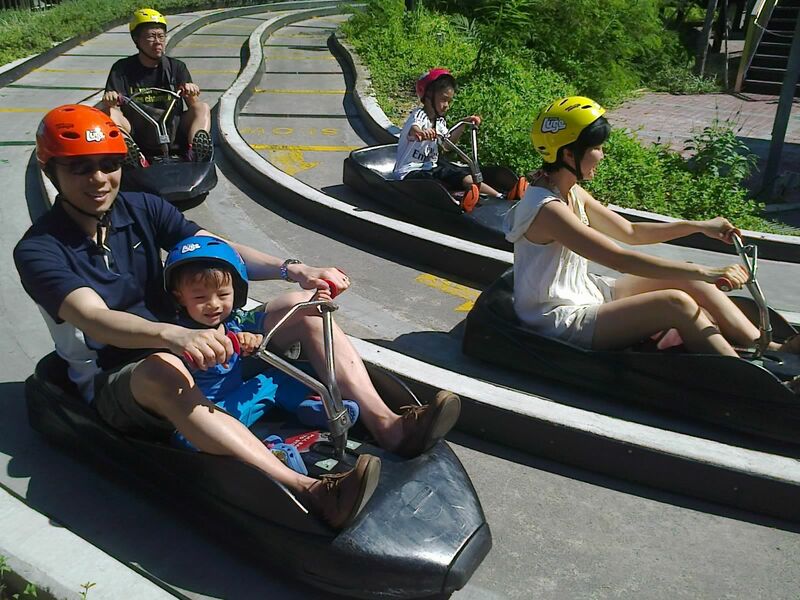 Kids need to be at least 80cm to be accompanied on the skylift and ride tandem for luge. 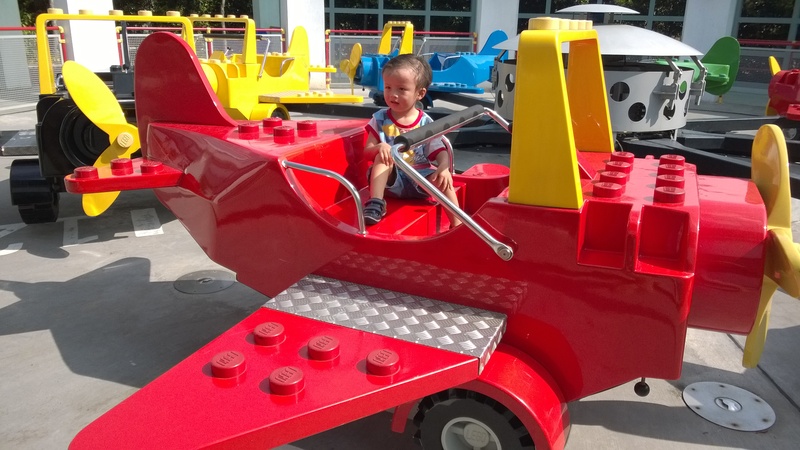 To go solo, kids need to be over 110cm on the luge, or at least 135 cm on the skylift. 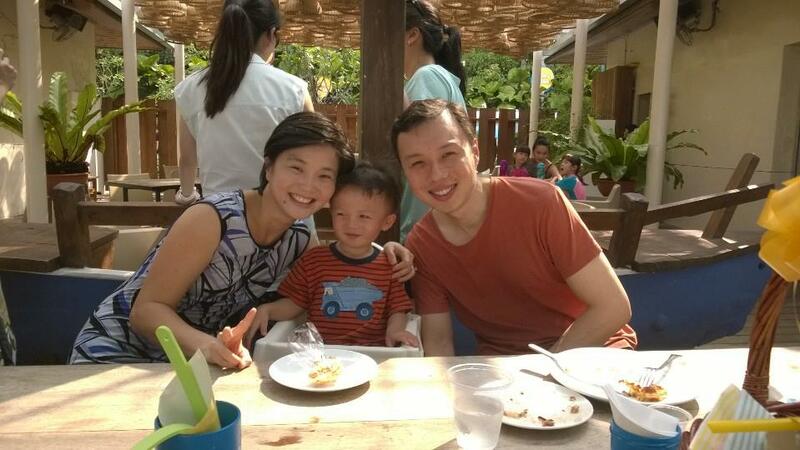 BTW, head over to Gingerbreadmum’s family pass giveaway (4 sets of 1 skyride and 1 luge tickets). Good luck and good riding! 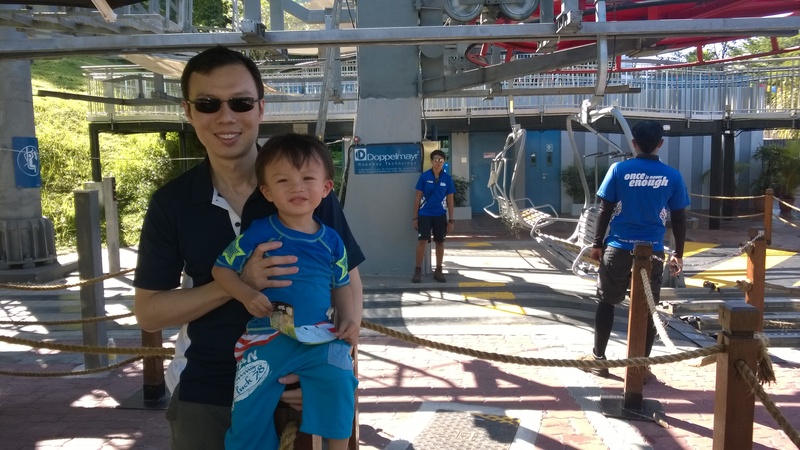 Port of Lost Wonder: Entrance fee cost S$15 per child, and free for all accompanying adults (!). 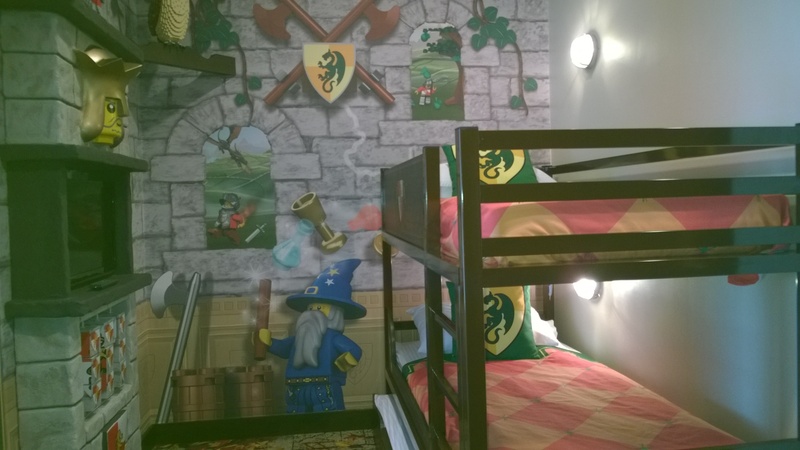 Each admitted child gets a Port Pass and 100 curios (5 curios cost S$1). We went around collecting stamps (exchange 5 for a prize), redeeming curios (e.g. 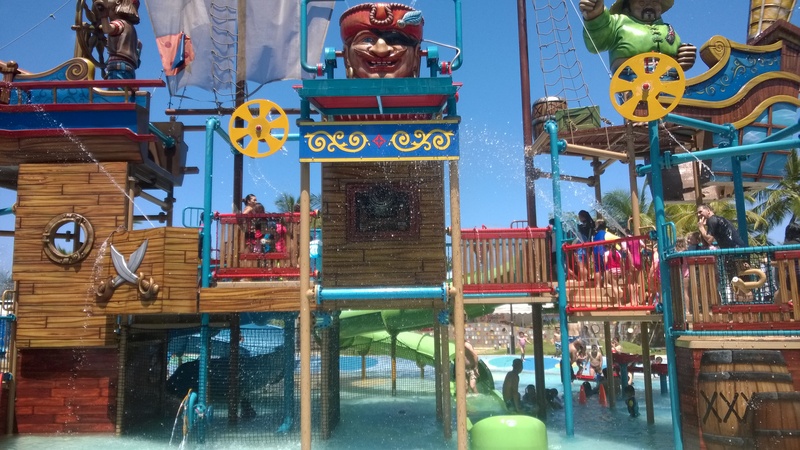 Wonder Craft workshops), ate at the Port Belly cafe, and then got stuck at the Pirate Ship water playground because B refused to leave! There’s so many other activities we didn’t get to and will definitely return. Note: Coming (back) soon is the BBQ under the Stars, now on the first Saturday of each month. 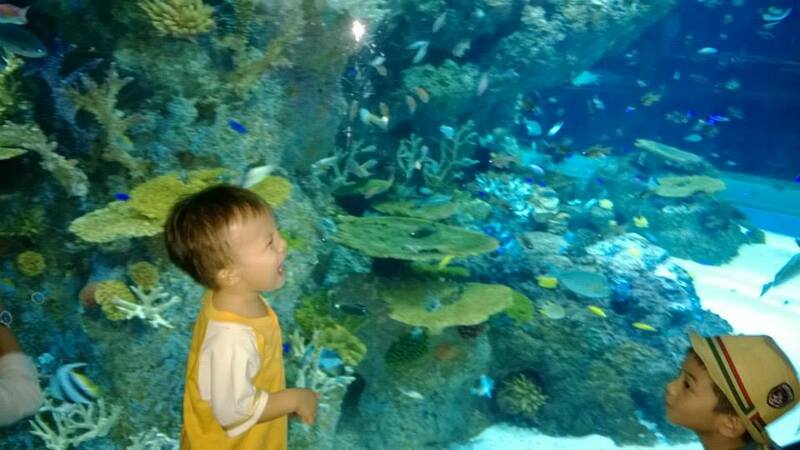 S.E.A Aquarium: Worth going if you haven’t been, good 1.5 to 2 hour visit that’s very doable with tots (or babies in strollers). B’s been there 3 times already! 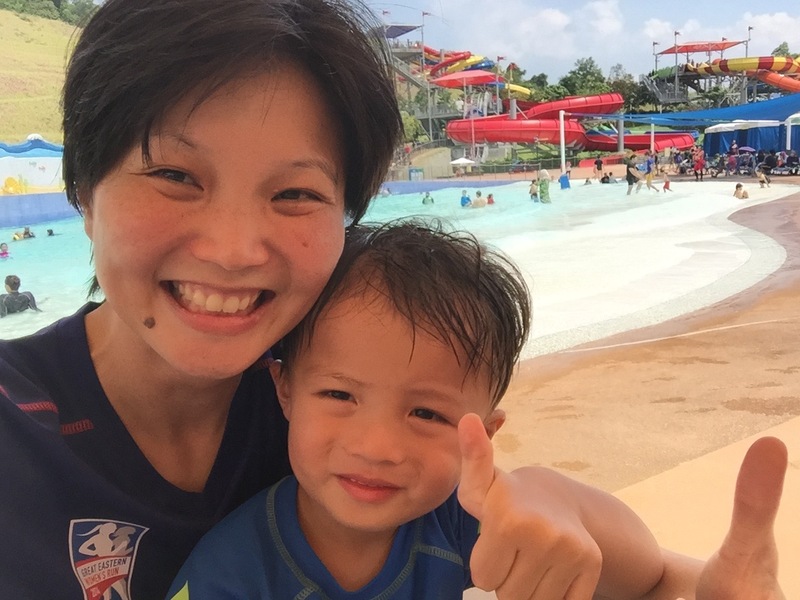 At our next visit however, we may just do a Resorts World Sentosa hotel staycation on a non-holiday season or weekday, and spend time at the newer attractions at the Marine Life Park, Trick Eye Museum and Universal Studios. Dine as, when and how you like: Sure, we had our share of kids meals and bites-on-the-go. But we also took time to just chillax at the W and have relaxed meals out. 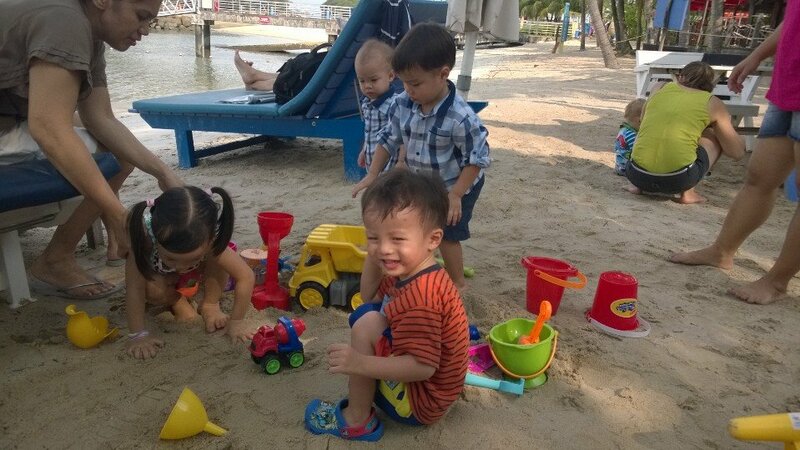 We strolled along the luxury Quayside enclave, a lovely marina with al-fresco eateries and tot-friendly play areas. We splurged on a RWS celebrity chef dinner (It’s our anniversary after all!) although we’ve also eaten many times at the Malaysian Food Street too 🙂 We made a quasi-healthy pitstop at Jamie’s Italian for lunch before heading home. 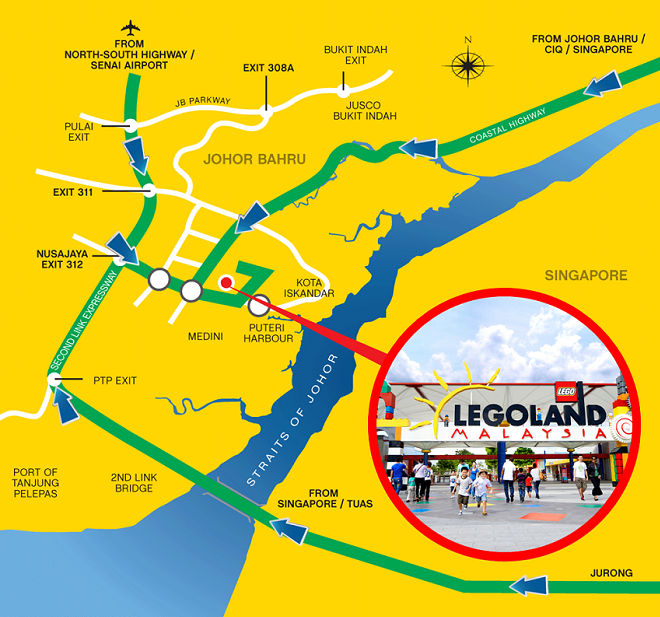 Firstly, where is Puteri Harbour and LEGOLAND? They are both located within ~10 mins drive from each other in Nusajaya, the regional hub of the new Kota Iskandar in Malaysia. 1) How to get there? Easy peasy! – BUS: Book a return trip via coach bus (~SGD$20) or opt for the Causeway Link buses. More info here. You can easily visit Puteri Harbour in a day, leaving early morning, returning by late evening. – CAR: Fastest way is via PIE/AYE to TUAS and the 2nd link bridge. It took us 1+ hours to drive there (Sat morning) and 45 mins to return (Sun evening), door to door from the central area. Remember to have at least 3/4 full fuel when you leave Singapore. Toll fees will come up to ~SGD$15 all-in, payment via NETS for Singapore and Touch’N’Go pass for Malaysia (this can be purchased on the leftmost car toll lanes after the Sultan Abu Bakar checkpoint). Once you clear the Malaysian toll booths, take Exit 312 to Nusajaya and follow the signs that say Puteri Harbour or have the park character pictures. Look for the Little Red Cube building, park inside (for free), head up to the 1st floor. Have fun! – You can buy tickets online but we found the indoor ticketing counters there quite efficient. We got ours on-site, first thing Saturday morning with no waiting time at all. Doors open 10a. – Bring layers. 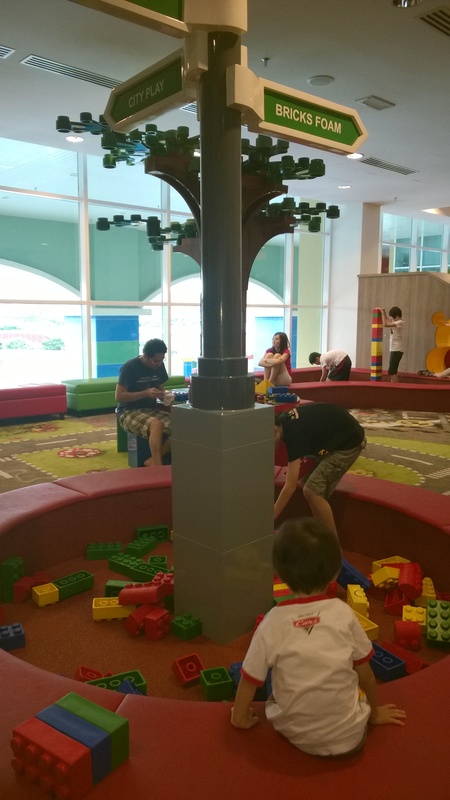 The outside promenade is breezy but can be hot, while the Little Red Cube indoor parks are fully air-conditioned, and gets Singapore cinema-level cold. B wore a jacket, long pants and long sleeved T-shirt. I unfortunately forgot to bring my cardigan – brrr! – All playgrounds require shoes to be removed. Though not “required,” I’d also wear socks as it’s cold and more hygenic! 7) Food, drinks, time out? There are on-site cafes with ample seating on all levels, but you’re better off stepping out for some fresh air, more F&B variety and better prices either indoor or alfresco within the Little Red Cube and along the quiet and scenic Puteri Harbour promenade. The tickets allow multiple entries in a day, so no worries about leaving and re-entering. Verdict: Two thumbs up! Totally worth it. There’s nothing like that in Singapore, esp. at these prices. We’ll go again before B turns 3 by end of this year, haha. See you there?